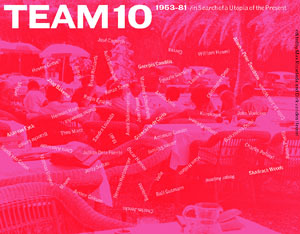 On March 19 the exhibition 'Team 10 - A Utopia of the Present' re-opened in Paris. Until 11 May the show can be visited at the recently inaugurated Cité de l'Architecture et du Patrimoine. An extensive and wonderful exhibition on the practice of Atelier de Montrouge, French contemporaries of Team 10, is also on view at the Cité. Catherine Blain was curator of the exhibition and editor of the accompanying publication on the Atelier de Montrouge. For more information visit the website of the Cité de l'Architecture et du Patrimoine. Big names have already given their full support, among them are Denise Scott-Brown and Robert Venturi, Peter Cook, Joseph Rykwert, Tony Fretton, Louisa Hutton, Roger Diener, Carme Pinós, and Alain de Botton. An interview with Simon Smithson about the fate of his parents' project is also available online. English Heritage will report to the minister Maragaret Hodge within two weeks on the possibility of listing the building. 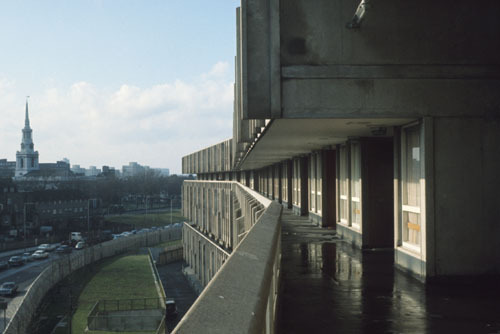 The minister has already shown she is utterly prejudiced about Modern Architecture. Her comments display sheer ignorance and disrespect of recent history. The ironical part is of course that it might be a Labour minister who will get rid of another key project of the Welfare State. For the occasion of the Paris edition of the Team 10 exhibition the conference papers of our Delft conferences have been made available online. The papers include contributions by George Baird, Christine Boyer, Kenneth Frampton, and Max Risselada, as well as many other scholars. For downloads check our studies and papers page. The first edition of the Team 10 book 'Team 10 - In Search of a Utopia of the Present' sold out in a surprisingly short time. TU Delft and NAi publishers made a re-print possible. For more information check the website of NAi Publishers. Wednesday 17 October the exhibition '"Build in Uncertainty": Unpacking the Shadrach Woods Archive' will open at the Arthur Ross Architecture Gallery, Buell Hall, at Columbia University New York. The Shadrach Woods archive was generously donated to Columbia University's Avery Architectural and Fine Arts Library by Val and Aïcha Woods. According to the press release the exhibition marks the beginning of further research on Shadrach Woods' career. 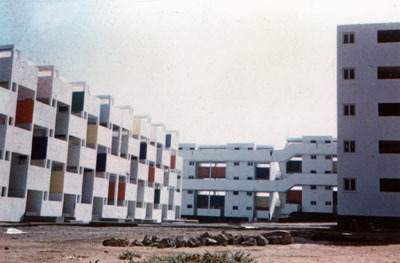 Carrières Centrales housing project by ATBAT Morocco, Bodiansky, Candilis, Piot and Woods, 1952. At the occasion of the opening a seminar is organised with Kenneth Frampton, Reinhold Martin, Mary McLeod, Joan Ockman and Felicity Scott. The exhibition is curated by Brad Walters and Elsa Lam. For more information see the Columbia GSAPP website. The Finnish architects' couple Raili and Reima Pietilä will be honoured with an exhibition at the Museum of Finnish Architecture in Helsinki from November onward, among others because the whole archive of drawings and plans has been donated to the MFA. For more information check the MFA website. 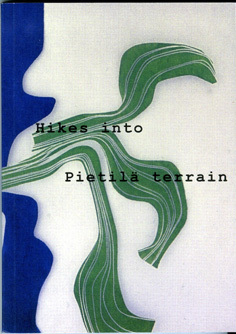 A first publication investigating the legacy of the Pietiläs is out now: 'Hikes into Pietilä terrain', a special issue of Taiteentutkija edited by Aino Niskanen, professor of Architectural History at Helsinki University of Technology. The publication is based on the Pietilä seminar of autumn 2005, organized by the Architectural Society of Finland. To order the 144 page publication, please contact: Rauni Oksanen. For older news items click here. This website is dedicated to Team 10 and the research of the history of the group. The website was launched at the occasion of the publication of 'Team 10, 1953-1981, In Search of a Utopia of the Present' (NAi Publishers) and the opening of the exhibition 'Team 10 - A Utopia of the Present' at the NAi, Rotterdam. Team 10 at the office boat of Erskine, Drottningholm, Sweden, 1962. They are discussing the dummy of the Team 10 Primer as compiled, copied and distributed by Alison Smithson. From left to right: Woods, Erskine, Bakema, Alison Smithson and Voelcker. 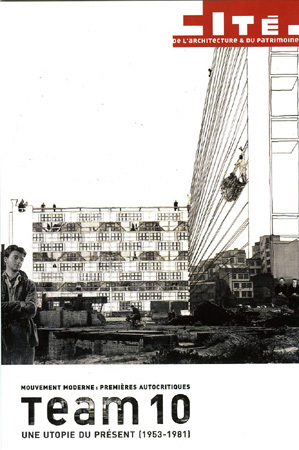 From the mid-1950s until well into the 1970s, the debate on Modern Architecture and the city received a new impulse from a group of young European architects under the banner of Team 10. 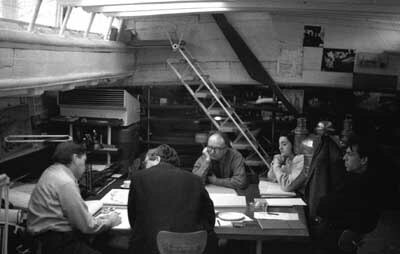 Core members included the Dutch architects Jaap Bakema and Aldo van Eyck, Alison and Peter Smithson from the United Kingdom, Giancarlo De Carlo from Italy, and Georges Candilis and Shadrach Woods from France. Other architects who were involved include José Coderch, Ralph Erskine, Amancio Guedes, Herman Hertzberger and Oswald Mathias Ungers.They met within the CIAM organization - the famous platform for modern architects dominated by Le Corbusier, Walter Gropius and Sigfried Giedion - but they soon abandoned it to hold their own meetings. At these Team 10 meetings the issues of modernization, the welfare state and consumer society, as well as the role of the architect, were the subject of heated debate. The various built and unbuilt projects by Team 10 members served as a vehicle for these highly influential and inspiring exchanges. TEAM 10 - information on the history of Team 10, its meetings, members, projects and texts. Most of the information presented here, was also developed for the book. RESEARCH - information on the archives of (members of) Team 10, research and studies on Team 10 and related topics and a survey of past and future seminars, symposia, expert meetings. SEARCH - enables the visitor to browse the site, and COLOPHON includes the institutes as well as the people, authors and designers involved in the production of the book, exhibition and website. 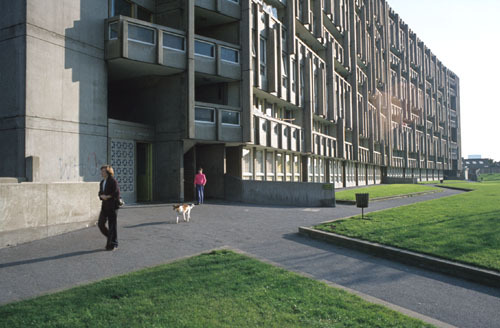 It is the aim of the editors to enhance further research into Team 10 and post-war Modern Architecture. It is our wish that the website will work as a conduit for future exchange; therefore this website will be permanently 'under construction'. We invite colleagues and visitors to the website to make comments and suggestions for improvement; also we would like to publish more research, studies and papers on Team 10, and architects and topics related to the Team 10 history. For this, and other questions as well, one can contact Dirk van den Heuvel by e-mail. "Ideogram of net of human relations. P.D.S. A constellation with different values of different parts in an immensely complicated web crossing and recrossing. Brubeck! a pattern can emerge." The name of Team 10 orginates from 1954, when a committee of four younger CIAM members is given the task to prepare the tenth CIAM congress, which is ultimately held at Dubrovnik in 1956. The official name of the committee was CIAM X Committee, also addressed to as CIAX. The original four members were Jaap Bakema, Georges Candilis, Rolf Gutmann and Peter Smithson. The first mention of Team 10 is shortly before a meeting with Le Corbusier and the CIAM X Advisory Group, 14 September 1954, in Paris. In a letter by Candilis and a document of CIAM Alger, the CIAM X Committee is referred to as 'Equipe X', and 'Team X'. Although never officially decided or announced, from then onward Team 10 is adopted as the name of the group of active younger members. There is no official spelling of the group's name: Team 10 and Team X are used throughout; Team Ten is mostly used by French historians writing about the group. We have chosen to use Team 10 following the most important publications on and by the group as edited by Alison Smithson.